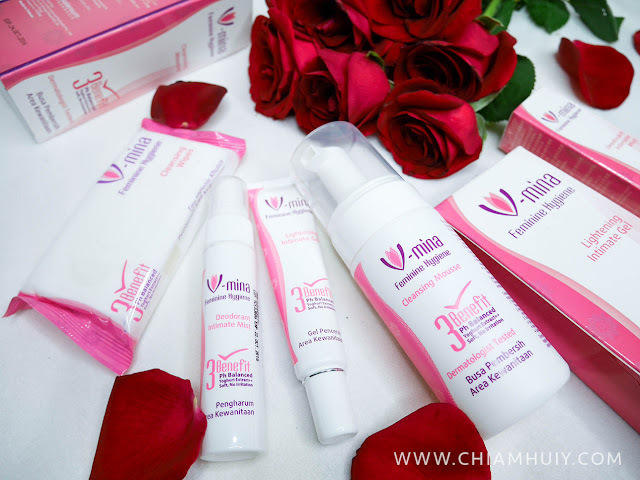 V-Mina Feminine Care products are generously packed with Tea Tree ingredient for disinfecting and soothing effect, Aloe Vera extracts for softening and smoothening, while lightening the delicate area with natural extracts. 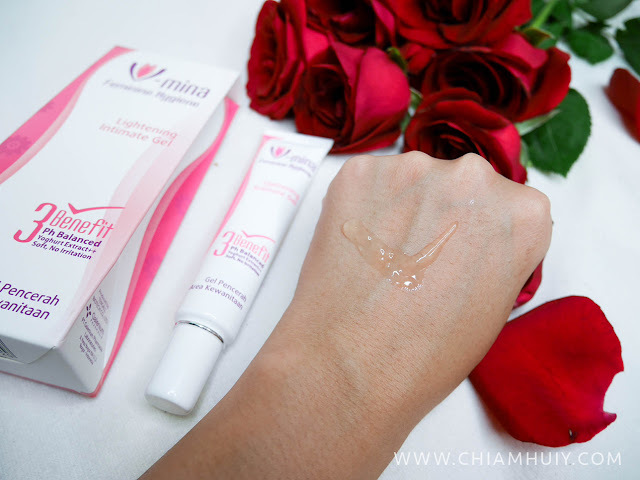 It also includes hyaluronic acid, which we all know for its hydrating and rejuvenating effect. Most importantly, V-Mina contains yogurt extract with probiotics benefits to help restore and maintain microflora balance. 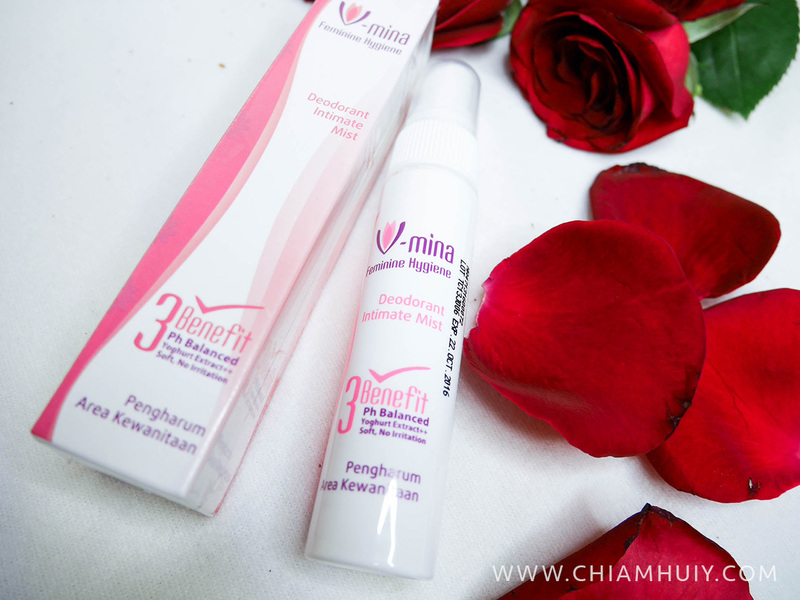 With all these benefits, your V-area will feel more refreshed, PH-balanced and well cared. More often then not, we ladies usually do not use a special feminine care product to clean our V-area. But it's essential to do so because products like this Cleansing Mousse are formulated for gentle and effect cleansing of the external V-area! It's suitable for daily uses because of its gentle efficacies. As you can see, it gets dispensed out as mousse foam so it's easy to lather onto your V-area. If you feel that your area is a little too dry or dull, you may want to give this intimate gel a try. Containing natural lightening extracts (roof and fruit extracts), it is best applied on the external V-area until fully absorbed. The product is very very light, as though it's like water. It does smell a little sour though, I am presuming it's due to the yogurt extracts. This travel-sized bottle of mist will be your life-savior during your period time. We all know how stuffy and moist it feels down there especially there's not much ventilation when we have our sanitary pads on. During those uncomfortable days, you can easily spritz 2-3 times of the mist to the delicate area and keep it fresh and clean all day! Cleansing wipes would also come in handy because you can wipe away disgusting and smelly stains during menstruation. We do not have the luxury to keep washing our V-areas because we can be out the whole day working. Thus this is definitely a must have during period, keeping your delicate area all clean and fresh. Wet wipes are also more gentle compared to rough tissue papers, don't you agree? Ladies, at the end of the day, don't forget that our delicate areas need special attention and care. It doesn't take a lot of effort to simply use a proper cleansing product and perhaps some cleansing wipes or moisturising gel to keep the area clean, fresh and protected. 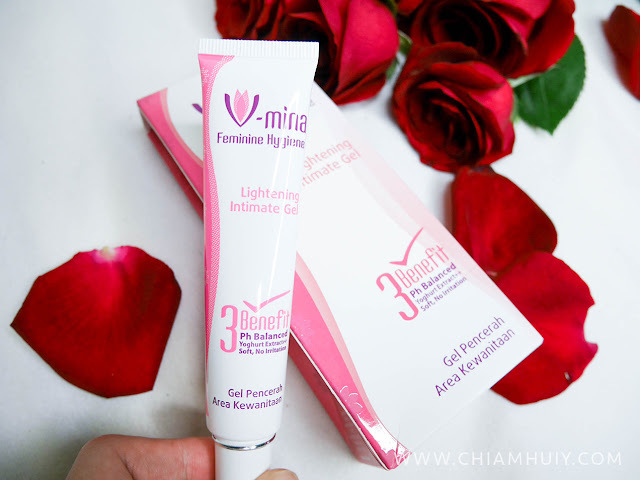 Check out V-Mina for more information! Or you can simply browse the whole range of the product at the personal care section of selected major Cold Storage and Market Place outlets in CBD area.